Australian distillery Four Pillars is launching the third vintage of its gin-Shiraz hybrid, called Bloody Shiraz Gin. The distillery is located close to Rob Dolan Wines in Healesville, Yarra Valley, Australia. 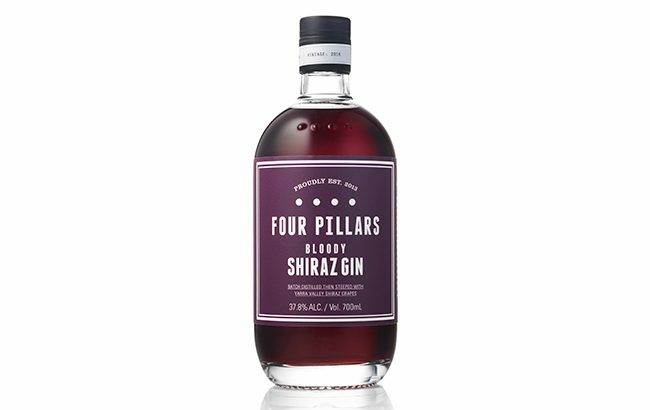 In 2015 Four Pillars created a “uniquely Aussie riff on an old-fashioned sloe gin” using Shiraz “appropriated” from winemaker Rob Dolan. To create the expression, Four Pillars combines its Rare Dry Gin with Australian Yarra Valley Shiraz grapes. The grapes are steeped in gin in cold tanks that are stirred daily. The fruit has its stems removed, but is kept whole as much as possible. The spirit was originally bottled to coincide with World Gin Day 2015, with 600 bottles selling out “in a few weeks”. Since the spirit is a “product of vintage”, each year’s output is unique. The 2017 release has a “vibrant ruby colour” and becomes “iridescent pink when mixed with tonic or soda”. On the nose, the gin has “pine needles” and a “clear peppery, dense raspberry character”. To taste, it is described as “sweet” with “long juniper and spice characters to finish”. The gin is unfiltered, and so Four Pillars states that it is best drunk within two years of its vintage, as after this time it is likely to “develop secondary fruit characters”. This year’s edition of Bloody Shiraz will be available from 15 October on Four Pillars’ website, and in select markets around the world, including the US for the first time, for US$39 a bottle. It is bottled at 37.8% abv. For World Gin Day this year, Four Pillars teamed up with Paul A Young to release a range of gin-infused chocolates.